Maria Åkerberg Lip Care Colour Plumberry. 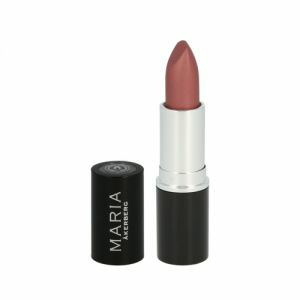 Laita huulillesi hoitava ja suojaava Maria Åkerberg Lip Care -huulibalsami. Rajaa huulet huultenrajauskynällä Lip Liner Cold Dark Plum. Häivytä rajaus meikkisienen avulla. Levitä huulille siveltimellä huulipuna Lip Care Colour Blumberry. Ingrediets: Ricinus Communis (Castor) Seed Oil, Euphorbia Cerifera (Candelilla) Wax, Caprylic/Capric Triglyceride, Cera Alba (Beeswax), Coco-glycerides, Simmondsia Chinensis (Jojoba) Seed Oil, Copernicia Cerifera (Carnuba) Wax, Tocopheryl Acetate, Lecithin, Tocopherol, Ascorbyl Palmitate, Glyceryl Oleate, Glyceryl Stearate, Mentha (Peppermint) Piperita Oil. +/- Talc, Mica, Cl 77891 (Titanium Dioxide), Cl 77491 (Iron Oxide), Cl 77492 (Iron Oxide), Cl 77499 (Iron Oxide), Cl 77742.